The truth beyond fidelity. The inspiration beyond practicality. Experimenting, composing, recording and producing. The fundamental aspects of what you do in your studio are the same as in the most illustrious professional studios. With AudioFuse, Arturia lets you match the quality and effectiveness of professional setups, so you can make sure your sound is always handled with the greatest care, no matter where it comes from and where it goes. As musicians, we invest a lot of time and energy into our sound, and AudioFuse treats it with the respect it deserves. Once you've heard your sound through AudioFuse, nothing will ever compare. First, we designed our own microphone preamps from the ground up. 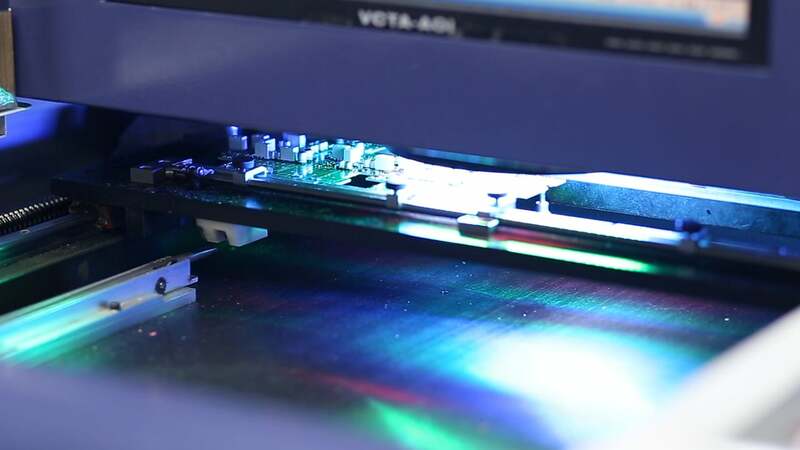 We decided not to use any third-party integrated operational amplifiers, in order to have total control over the performance of each component. 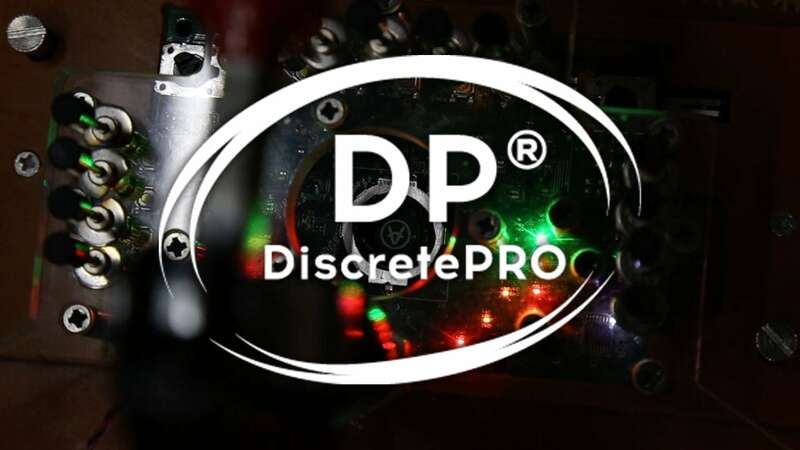 Inspired by the classic designs of the golden age of analog, we used our cutting edge technology to enhance the latest generation of discrete components. One listen and you'll never look back. While preamps are critical, the resulting analog signal has to be converted to the digital world for your computer, tablet, or phone. To attain this, we chose the AKM® premium series converters, known for their outstanding quality. 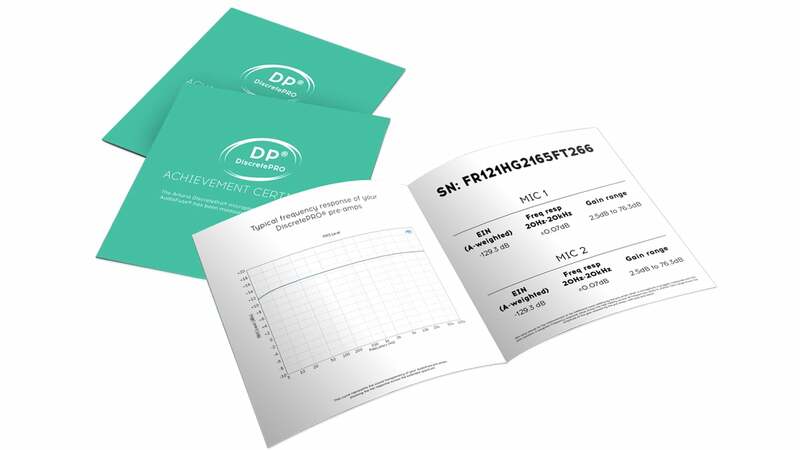 Another factor that distinguishes between budget and high-end digitizing is timing accuracy. That's why we built our reference clock on an exceedingly accurate, fully temperature-compensated oscillator with outstanding 20ppm stability. We even paired it to a sophisticated clock recovery and jitter elimination system to ensure that you get the pristine sound you demand, whatever the conditions. It’s a well-known fact that the quality of an audio chain is never stronger than its weakest link. That's why we built AudioFuse with obsessive attention to detail at every stage, including a fully symmetrical and nearly capacitor-free input stages. Unlike most interfaces on the market, we didn't compromise audio quality by combining preamp and line in with an attenuator—they're separate signal paths. There's no breakout cable to degrade signal either—all connections are solidly onboard. Next-generation analog/digital converters deliver audio with startling transparency at sampling rates up to 192kHz. We even designed custom built potentiometers to our exacting specs. Sound serious? It is. You can't stop time ticking away, but AudioFuse can help you save some. AudioFuse lets you get straight to the point, keeping you motivated by goals and not constrained by limitations. The ultimate monitoring station, AudioFuse gives you immediate access to functions that you're probably more used to relying on your DAW to provide. Easily mute, dim, or sum your mix to mono, and quickly flick between 2 sets of reference speaker at the touch of button. You'll also fall in love with the simple but effective direct / computer signal mixing knob. 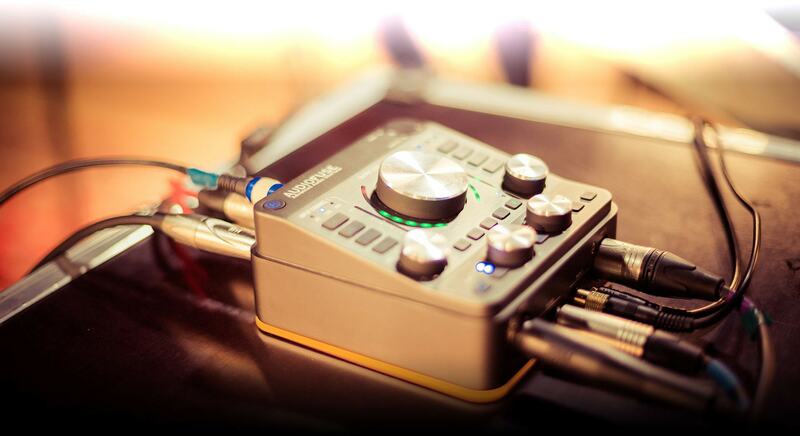 The 2 main input channels feature superb controls that let you get the best out of whatever source you're recording. 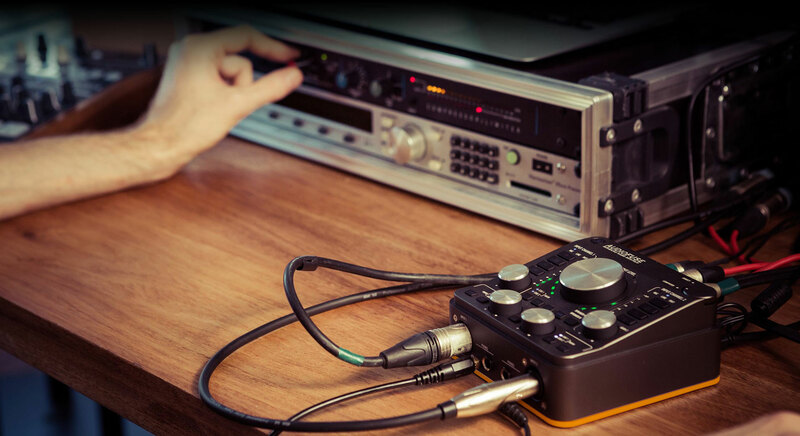 From reliable, constant 48V phantom power to feed your most precious condenser microphones to a multi-level pad to make even the hottest signals usable, the inputs also feature auto-sensing impedance matching. You can also quickly phase-invert the incoming audio to correct any issues before it hits the mix. AudioFuse has two independent headphone outputs, each with their own volume control. 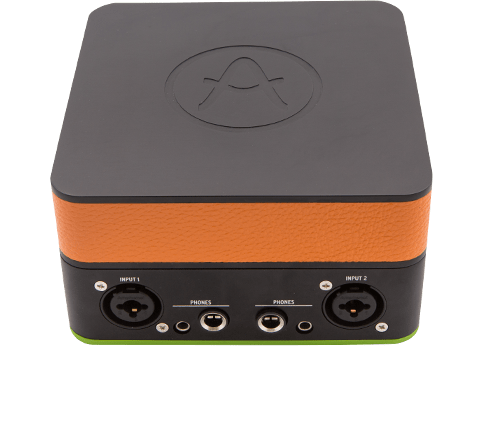 Because quality, workflow, and connectivity is what makes AudioFuse unique, it features ¼” jack and mini jack ports on each channel so you can plug in and monitor, and not have to search for those ever-elusive adaptors. Beneath the intuitive, hands-on control on the surface of AudioFuse lies the power and versatility of a pro studio. AudioFuse allows you to keep on top of your projects, so you can feel confident no matter what musical scenario comes your way. 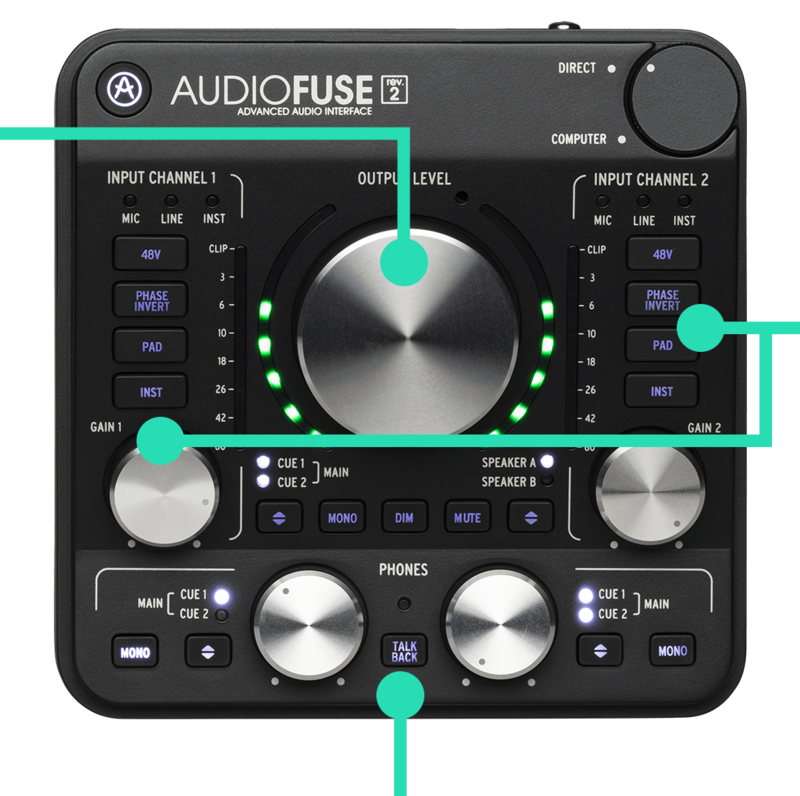 As the next-generation audio interface, AudioFuse lets you access a large number of fundamental features directly from its top panel. 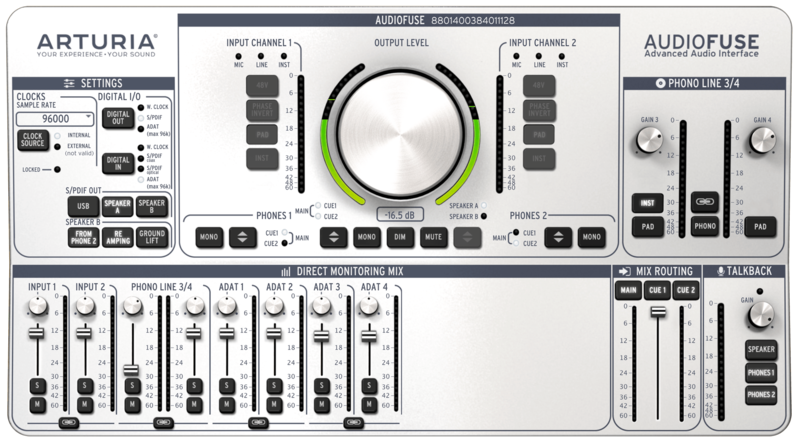 Once it's connected to a computer, AudioFuse transforms into a full-featured mixing console. AudioFuse Control Center controls the mixer, selection of inputs, routing, monitoring, and additional functions such as sampling rate, Clock Source, Pad, Cue, and more. Another useful touch is that AudioFuse will remember the latest AFCC settings for standalone use until the next time you connect and change them. Connecting people is vital to help them reach their full potential. It is also true for music gear. AudioFuse gives you exceptionally high quality analog inputs that capture every nuanced detail. In addition to line-level signals, the two XLR combo-jack inputs on the front let you record high impedance instruments like electric guitars and basses, as well as your microphones. AudioFuse can take anything you throw at it, and reveal every subtlety. Do you need more? 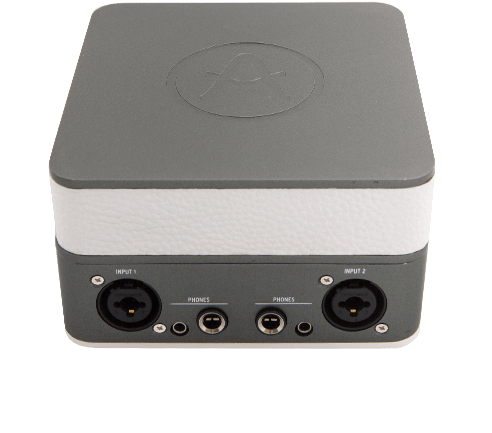 The ¼” TRS jacks and RIAA, grounded phono RCA inputs let you add two line level instruments or a turntable for recording or scratching your vinyl LPs. AudioFuse is the master of the digital realm. Beyond its main Plug & Play USB connection letting you connect AudioFuse to your computer, tablet or phone, you will find optical or coaxial S/PDIF I/O to link it with your HIFI devices. 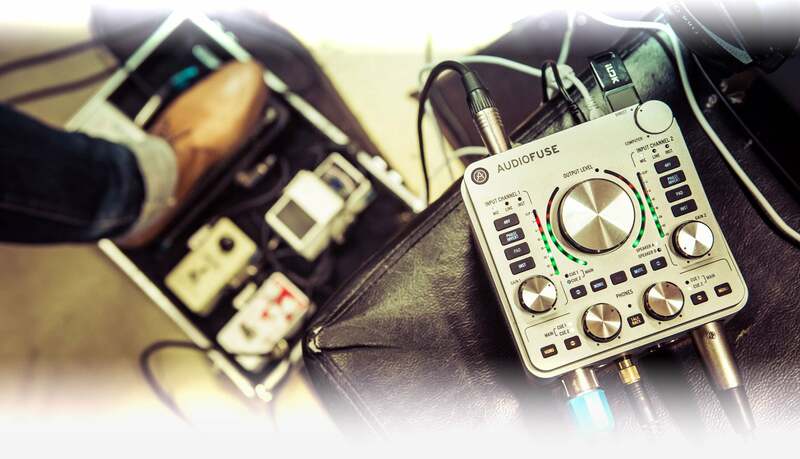 You can use AudioFuse together with other ADAT-enabled equipment to give your inputs and outputs a boost, too. Easily bank up an extra set of mic pre-amps and record a whole band at once. 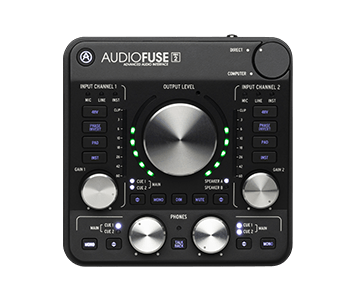 AudioFuse also features innovative, space-saving breakout MIDI connections, opening up a whole new world of exciting sounds, outboard synths, and sound modules to your setup. To get the best idea of how your music truly sounds, you'll often need to compare multiple sets of reference monitors and speakers. AudioFuse features 2 sets of line outputs so you can quickly, efficiently send your mix to different monitoring systems to make sure your mix translates well. The amazing output options don't stop there, AudioFuse has two separate headphone ouputs with both 6.3mm and 3.5mm so you'll never have to hunt for adapters again. These outputs can also be put to great use on stage, but also for advanced techniques in the studio, too. The huge reamping possibilities of AudioFuse are truly inspiring, letting you track your dry signal while simultaneously sending it - impedance corrected - to a guitar amp for recording. Potential, effectiveness, and convenience all play a part in how your musical project will progress. 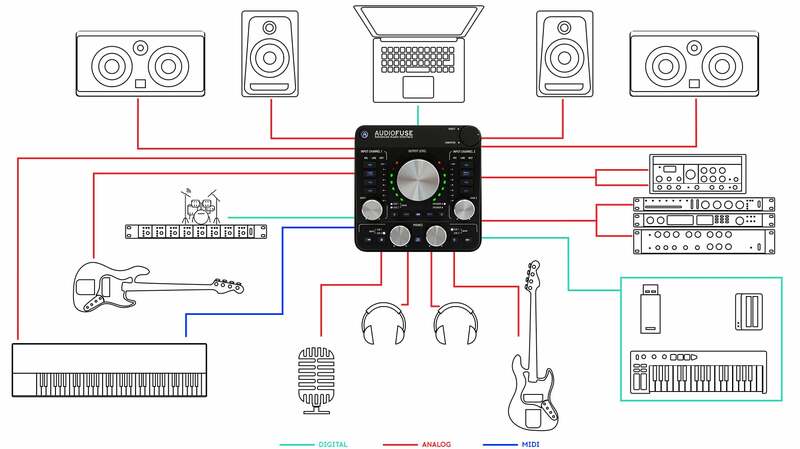 AudioFuse gives you all the tools you need to make the most of any situation. For example, processing your sounds through outboard effects units, pedals or modules is quick and easy when you have two insert connections. 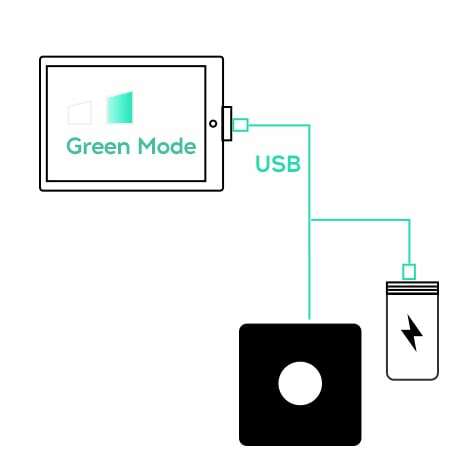 Connecting your USB controllers or dongles without running out of USB slots on your computer simply isn't a problem anymore thanks to its built-in USB hub. You also want to directly control vintage synths or drum machines? MIDI IO at your service! Last but not least, the word clock IO will ensure that all of your equipment stays perfectly in sync. The most diverse, adaptable, and versatile interface around. Unlike jamming musicians, computers find it hard communicating audio across different systems. No problem, AudioFuse will be their interpreter. AudioFuse treats your signal with respect, so you can enjoy every last, tiny detail whether recording or listening. With the AudioFuse in your backpack, your studio is everywhere. You're free to explore and take some time to create. Tech specs are usually a world away from the creative process, but in the end you need to know that your equipment is giving you the best possible performance. It's what your music deserves, after all. 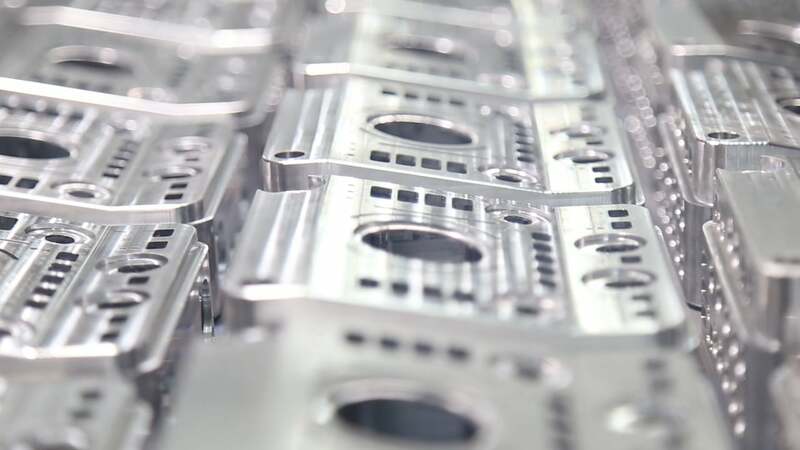 This is why each individual AudioFuse is tested one by one as the last finishing touches are performed during manufacturing. We're so confident in our extraordinary interface that we provide you with your own unit's technical readout. There are no secrets here, just a true next-generation interface you can trust. Just like any other high-performance device, when used to its full potential AudioFuse will generate heat. We have created a unibody housing to allow for maximum heat diffusion, in the same way as your phone or tablet. This clever design gave our developers the opportunity to pack more ultra high-grade, demanding components into a small footprint, giving you the most powerful, compact interface possible. Are you tired about traveling and not being able to capture your ideas? With AudioFuse in your backpack, you will never stop the flow wherever you go. 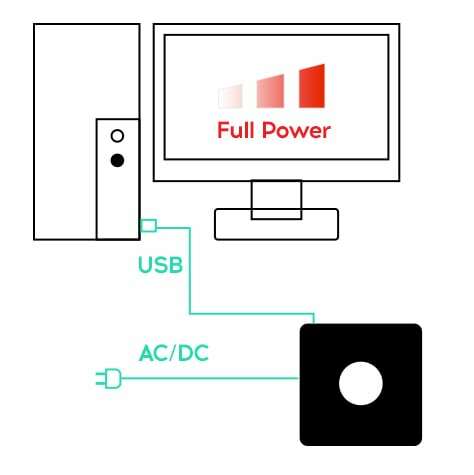 Connect the AudioFuse to your computer and plug the included universal power supply to enable its full power mode. Doing so will let you take advantage of the maximum input and output level of +24dBu. Using our custom two-headed USB cable will allow on-the-go operation of the AudioFuse without even having to use the power supply. 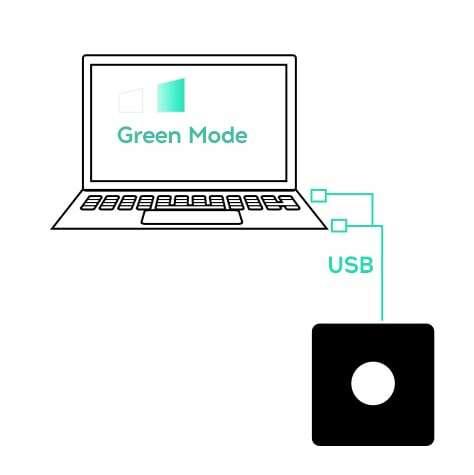 The green mode will minimize the battery consumption of your laptop. 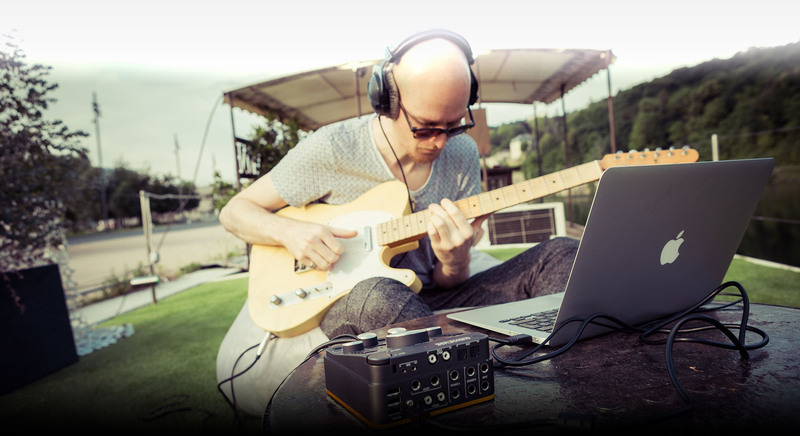 For the musician on the go, you are able to discover the true meaning of the word "freedom" when connecting the AudioFuse with a tablet or a phone and a power-bank. Make music everywhere, literally. There’s a lot packed into AudioFuse, with its huge selection of controls and connectivity, all using the latest technology and components. For the modern engineer, AudioFuse is feature-rich at a surprisingly small foot print. Every element has been carefully considered, and helps AudioFuse take center stage at any studio, yet be discreet and portable for a live or remote location. The stylish, genuine leather trim serves no musical purpose, but sometimes looking good is justification enough. Give me colors! Black aluminum combined with a bold green bottom and orange leather are a perfect fit for your bold creativity. Prefer a modern look? White leather and dark grey aluminum give you that clean, artistic touch that adds an air of refinement. Enjoy the combination of brushed aluminum and brown leather for a pure classic look that will never go out of fashion. 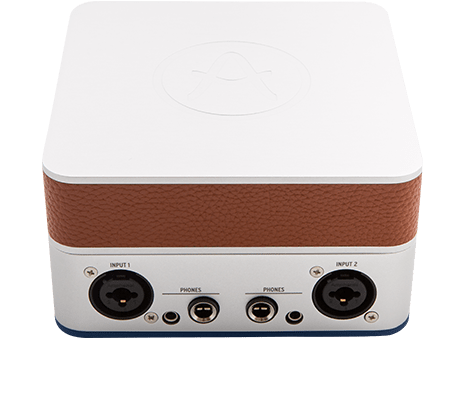 You asked for the ultimate audio interface—one with uncompromising pro audio sound, solid quality and great ergonomics that you could connect to anything and use anywhere. That's why we made AudioFuse. We can't wait to hear how it inspires you. No matter what spec you look at, you'll find uncompromising quality at every point. We present actual real-world performance measurements (in compliance with AES17 standards) rather than the misleading chipset performance that companies sometimes publish. Measurements were performed on a high-end Audio Precision APX555 testing instrument. Measurements are of analog input path, taken at insert point.